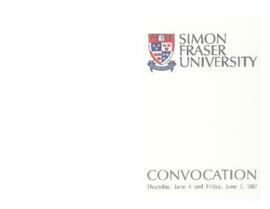 Fonds consists of records relating to University ceremonies created by the Office of Ceremonies since 1982, and before that time, by the Registrar's Office and the President's Office. 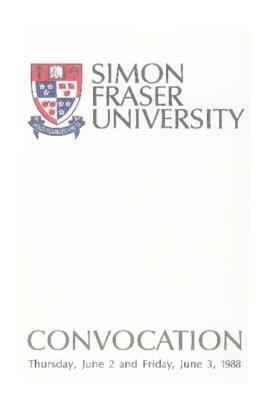 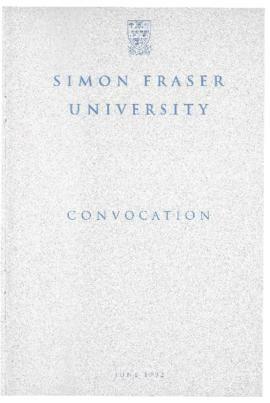 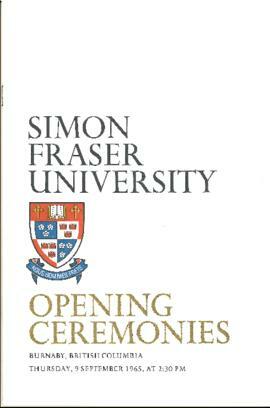 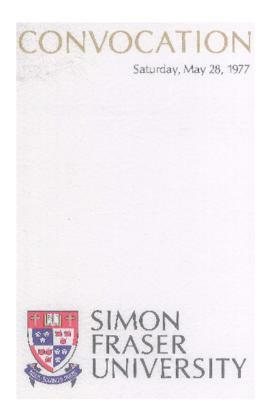 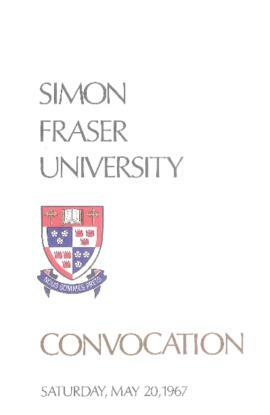 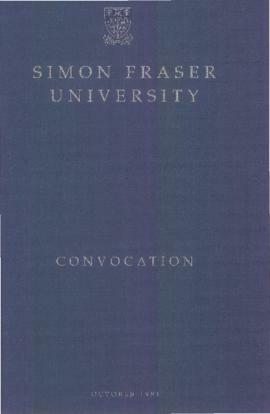 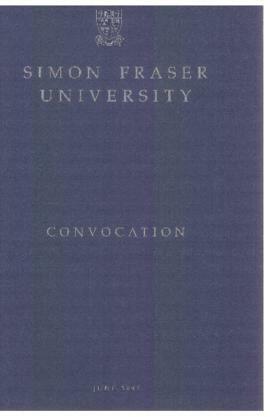 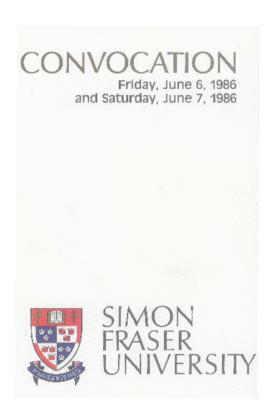 Activities and topics documented include the opening ceremonies for SFU in 1965, convocations, awards ceremonies, building and room openings and dedications, donor recognition events, staff recognition events, installations of presidents and chancellors, university anniversaries, and other special ceremonies. Records include programs, books of words (order of proceedings), invitations, guest lists, correspondence, notes, press clippings, news releases, publications, photographic material, and other documents. 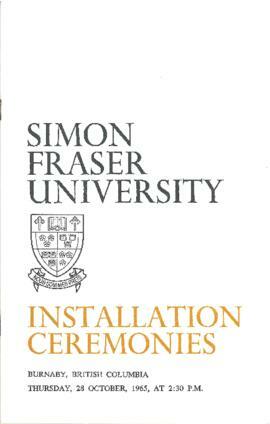 The records were acquired from the Ceremonies and Events Office in a number of accessions. 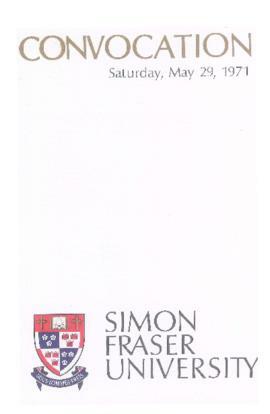 The records were arranged by the archivist. Access to some files within this fonds is restricted in accordance with Freedom of Information and Protection of Privacy legislation. 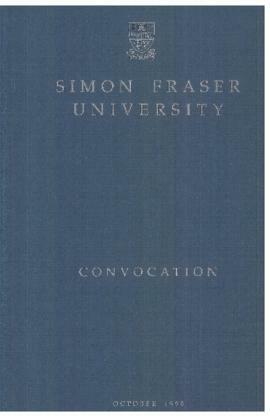 Please consult the series descriptions, the unit lists, and the archivist for further details. 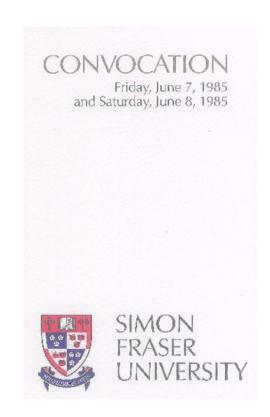 The predominant dates are 1963-1995. The only records that post-date 1995 are the Convocation booklets that are received twice yearly by the Archives and added to the fonds. Finding aid prepared by Frances Fournier, Enid Britt, Annemarie Crawford (April 2003). 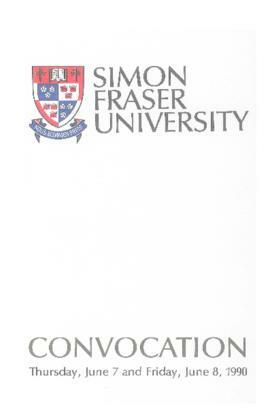 Updated by Frances Fournier (November 2004); Lisa Beitel (January 2006); Frances Fournier (November 2006); Frances Fournier (October 2007); Richard Dancy (May 2009); and Marcia Beacham Fuller (2011).